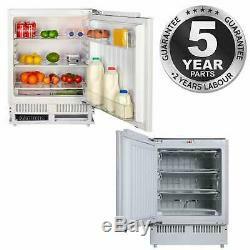 SIA Integrated Under counter Larder Fridge & Freezer Twin Pack A+. 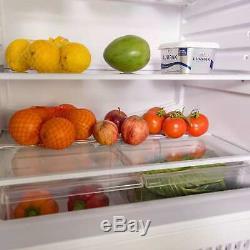 SIA RFU101 142l Larder Fridge. 5 Years Parts & 2 Years Labour Guarantee. 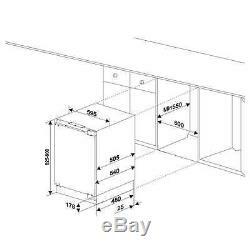 Reversible door Adjustable thermostat 2 shelves + salad crisper shelf Interior light Egg tray. 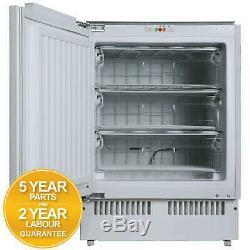 Width = 595mm Height = 825mm - 900mm (Adjustable) Depth = 505mm (540mm with door). 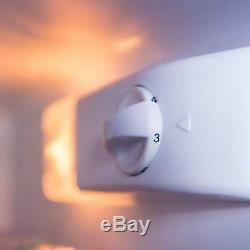 Reversible door Gross capacity 102l 3 freezer drawers Ice cube tray. Noise level 41 dB(A) Adjustable feet 180cm cable including UK plug. We are committed to providing the highest level of customer service available, however should you not be 100% satisfied with the goods you receive please refer to the following below. All goods should be received back in our office within 14 days of receipt of goods. Please note that this does not affect your Statutory Rights under the Sales of Goods Act 1979. 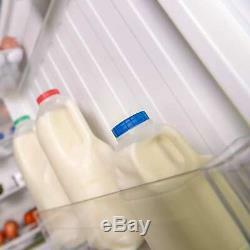 All goods should be checked within 24 hours against damage in transit. Failure to report this to us within this time frame will make any claims void. You can report any damage by getting in touch with us. Once the return of an item has been confirmed with ourselves, the return has to be completed within 14 days. To speed up the identification of your return, we require your full name and order number to be clearly highlighted on the outside of the packaging, in such a way, that it does not damage the original product or the packaging. You have a statutory duty to take care of the goods. On rare occasions products may develop a fault. 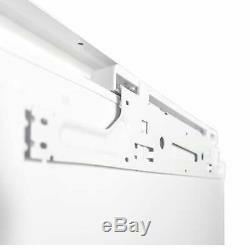 Our policy for dealing with faulty goods is intended to ensure you get the fastest resolution possible and minimize the time you are without a working item. The policy for dealing with faulty items differs depending on the product type and when the fault developed. 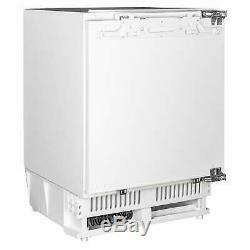 Depending on the above mentioned circumstances we will aim to either repair or replace the appliance. We will offer resolutions according to the timelines outlined by the Consumer Rights Act 2015. Nothing in these terms will affect your legal rights. Ireland, Isles of man, Isle of Wight & Scilly Isles. Shetland Islands and postal code areas. 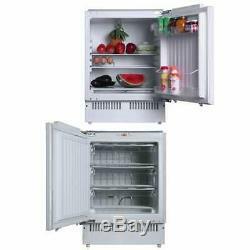 AB37-38 AB41-56 TR25 TR21 IM BT ZE PH50 PH49 PH30-44 PH17-26 PA60-78 PA20-49 KW IV HS KA27-28. 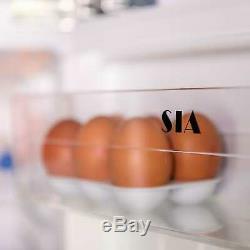 The item "SIA Integrated Under counter Larder Fridge & Freezer Twin Pack A+" is in sale since Monday, January 7, 2019. 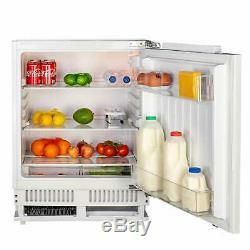 This item is in the category "Home, Furniture & DIY\Appliances\Fridges & Freezers\Fridges". 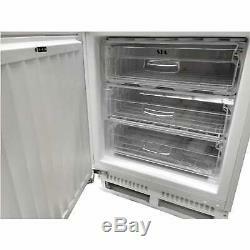 The seller is "shipitappliances10" and is located in Nottingham.